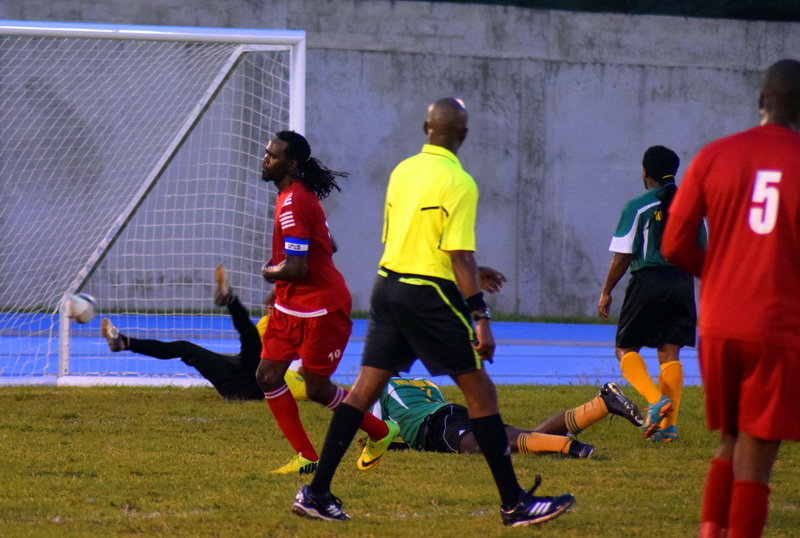 The clash at the top of the National League, between the Islanders and Rebels F.C, on Saturday, was a great advert for the domestic game and decided by Fitzroy Daley, who scored the only goal of a tense, dramatic affair for the Islanders. 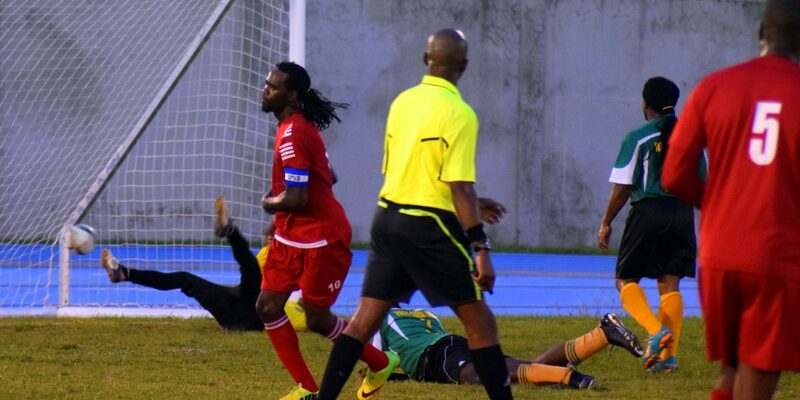 His well taken goal came in the 20th minute and left the Islanders still top of the standings on 18 points ahead of the Rebels, who fall to fourth place, by goal difference, behind the Sugar Boys and Wolues. The Wolues leap frogged into third place with their 2-1 win over One Love, whose disappointing run continues. Kevin Carragher gave One Love an early lead through an own goal, but he then equalized for the Wolues at the right end, before Leo Forte wrapped up all 3 points for the surging Wolues, in the 47th minute. Old Madrid F.C destroyed a shorthanded Virgin Gorda United, but took a long time to open the scoring against the eight opponents, before the flood gates opened, with Kenmore Peters netting a hat trick, taking his seasons tally to six. The final score was 5-1, with Sheldon Harry and Kenrick Leslie also on the score sheet, whilst Jackson Rigobert scored a consolation for VG Utd. In Women’s League action, Laverne Fahie scored once in each half to give the Avengers a 2-1 victory over VG Utd Girls, after Jackisha Rigobert had equalized mid-way through the second half.